(Yesterday April 24th 2012) Went up Plain Quarry to Trig and then back down to check on the Crags close to the main road side. Nothing much to report, but "Ground Ivy" flowers are starting to show. (Back to today April 25th 2012) Could not find Garden Warbler at Dalton today, but did get a new one in Lancelot Clark Storth (Lower section), its more or less where it was last year. 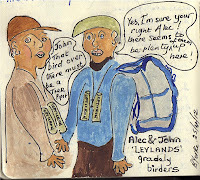 Also increased Blackcaps in the same area. Its looks like there is six pairs of Tree Pipits within Dalton. Also 5 singing Chiffchaffs in Dalton. At least 4 singing Blackcaps birds within Dalton and Willow Warblers are probably in the region of 20 singing birds in Dalton. I noticed the Early Purple Orchids are now well on their way and several where seen just starting in flower at both The Common and Burton Fell. 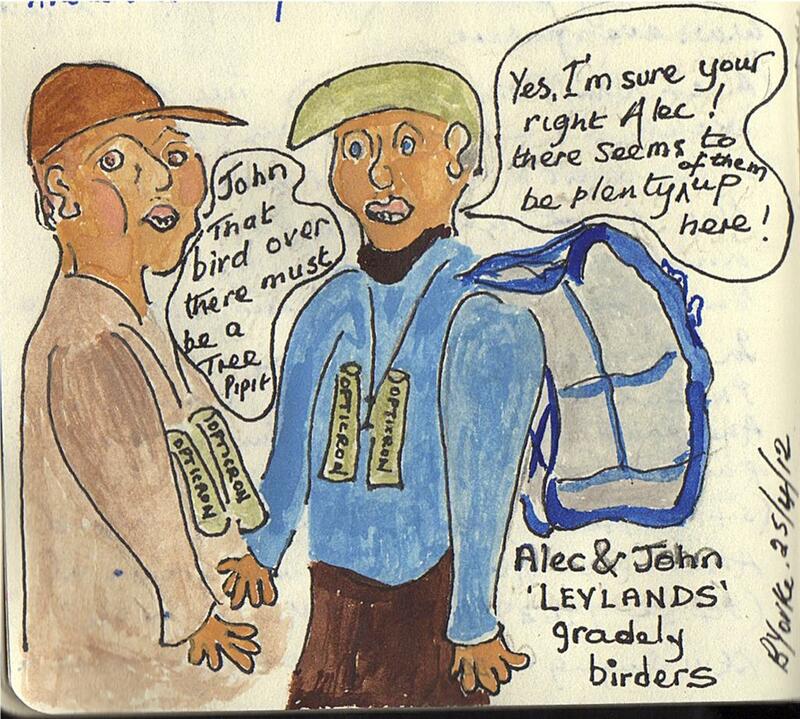 Great to meet up with Alec and John from Leyland, whom I also met last year whilst looking for the Shrike. We did manage to catch up, share some funny stuff, and get some observations of the odd Tree Pipit..... hope you had a good onward rest of the day at Leighton.